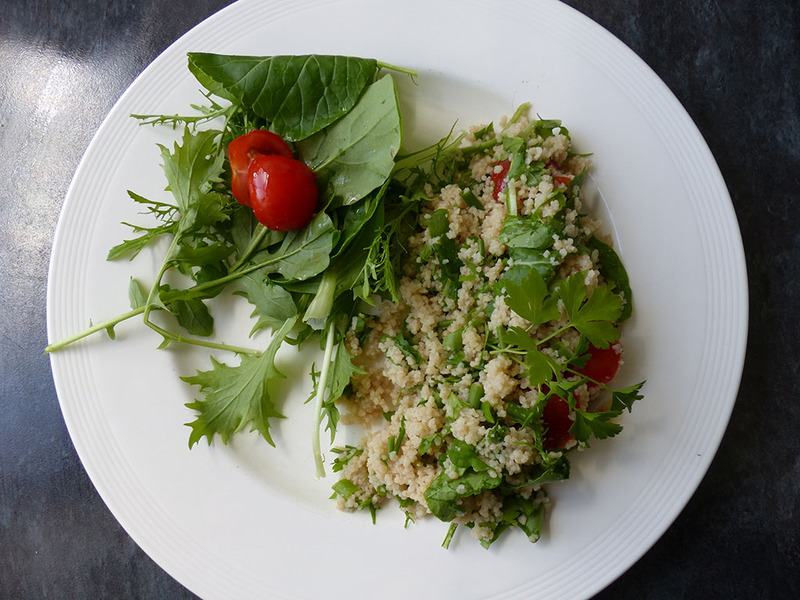 Another couscous salad, the varieties are endless. This salad goes well with a barbecue or a picnic in the park. Soak the couscous in water for about 4 minutes. (Add enough water to submerge the couscous with an extra ½ inch of water on top.) If you like extra hot food, you can leave some or all of the seeds of the chilli pepper, or you can take them out and only use the red part. This recipe is really simple, all you need to do now is mix the olive oil and lemon juice and add to the rest of the ingredients. Mix well and serve immediately.